Interest in podcasts has grown in recent years; according to Edison Research in fact 44% of people in the United States listened to a podcast at least once, while 26% did it at least once a month. But if podcasts could gain ground in cars or at home, they only did some limited raids in the workplace … at least so far. Nevertheless, some companies see new potential for audio streaming as a means of delivering on-demand content to staff , particularly for those with a large number of remote and mobile workers. With this kind of interest in mind, the company video streaming provider uStudio has recently launched a podcast distribution platform that adds the necessary administrative controls, enterprise application integrations, security features and usage analysis provided by business managers and IT departments. (Similar solutions are also offered by podcast hosting providers like Podbean and Blubrry ). UStudio’s CEO, Jen Grogono , said that companies get better and more effective communications with audio streaming and cited customers such as Fidelity Investments, Cintas and Salesforce, who implemented the uStudio platform for various purposes. These uses range from onboard personnel to up-to-date product information communicated to frontline sales people. "We see a growing need from companies that are trying to create content that they do not necessarily want to access the whole world," said Grogono. For example, Salesforce has a suite of about six podcast broadcasts aimed at sales personnel, each with their own set of episodes. "They are really bringing podcasting to the next level," said Grogono. Technology in the workplace is often influenced by consumer trends, and Grogono said podcasting is no different than other typical workplace technologies. "There are two trends at the base of the company demand at the moment: a turning point in the consumption of podcasts and audiobooks and a maturity in the creation of content combined with more accessible and mobile quality production tools" . Grogono said that access to analytics is essential for companies that decide to embrace podcasting. An advantage that podcasts and other means of streaming keep on other types of documents is in fact the ability to collect data on the content to which the staff accesses. For example, the integration of data analysis related to the use of podcasts within a CRM system could show a correlation between access to podcasts and new sales representatives that generate revenue faster. "You can also determine if, after watching or listening to one or two episodes of a podcast, salespeople are increasing their business or not, so as to understand the value of the content itself in ways we have never used in the past." There are other signs that show how the interest in using podcasts within organizations is increasing. According to Wayne Kurtzman of IDC, "corporate podcasts are in their early stages, but are slowly growing as a market". "Companies have been slow to embrace this technology to date for a variety of reasons," said Jon Arnold , independent technology analyst and founder of J Arnold & Associates. "Although they can be useful for internal communications, the disadvantages are similar to those of corporate blogs. As with any communication platform, creating content that effectively involves the target audience, even if the public is a company’s workforce, is indeed a challenge ". In the real world (and therefore not just enterprise or corporate) even the best podcasts can take a year to get a regular audience. "Remember that you are competing against all the other podcasts on the planet to get attention and visibility. Taking the time to make podcasts and create content targeted to the audience that adds value is still a determining factor in the success or failure of a podcast, " said Arnold. An annual study conducted by the Gatehouse communication agency shows that only 18% of corporate respondents use podcasts, compared to 82% who use video tools instead. However, interest in podcasting remains rather high, with 57% of respondents (650 global communications executives) planning to increase investment in this area. Gatehouse CEO Simon Wright said the video largely eclipsed podcasts as a means of choice for office knowledge workers, but there is the potential to use podcasts as information providers to field workers, for example while they travel to reach their work destination. "There is clearly a potential for this content," said Wright. 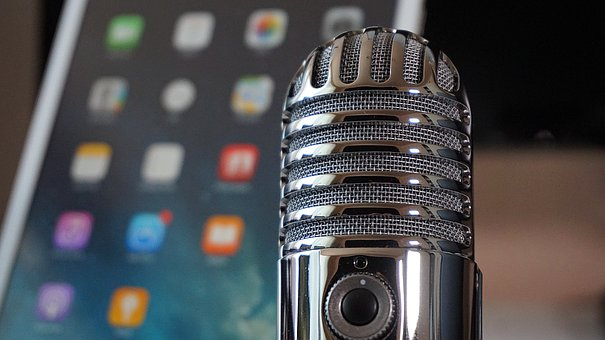 "At the moment podcasting has not been exploited particularly well; organizations must find a solution to use it as a means of communicating information that people can learn when they are on the move. It has always been much easier to communicate with people sitting in front of their desks and it is always difficult to reach those people who are not connected. This is where podcasts will find their raison d’être: inform people on the move ". Grogono also sees the potential of podcasts to workers who are often on the road. "Companies are launching private and secure podcasting channels so remote and field workers have access to content and information while on the go. As such, business leaders are learning that the efficiency and effectiveness of podcasts make audio a logical substitute for printing, such as traditional e-mail or PowerPoint documents analyzed on a PC. And the data produced by podcast audio streams is much more valuable than the print counterparts. "